Ellerfield Financial Planning addresses your total financial needs. Allowing Ellerfield to look at your current debt position in detail can potentially save you thousands of dollars and years off your current mortgage. Ellerfield can create a comprehensive Mortgage Plan that makes sure debt is used effectively and efficiently. It does this by implementing a Mortgage Reduction Plan to reduce your mortgage at a faster rate by harnessing surplus cash flow. It has been difficult to achieve this using traditional banking methods without restricting access to your money… Until now! 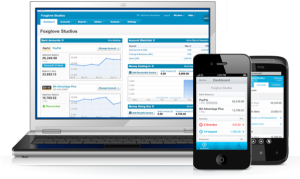 Having instant access to your real-time financial data gives you control over your cashflow like never before. The watch list lets you monitor specific accounts. Your Bank feeds are automatically imported into Xero, so you always have a complete and up-to-date view of your bank accounts. 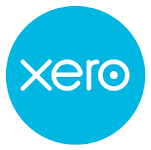 Once your bank statements have been imported, Xero will match most of your bank transactions automatically including Credit Cards and PayPal, just click OK to reconcile. You can also create custom rules to automatically match more complex transactions, like split payments. It’s effortless to keep your accounts accurate and up-to-date. Whether you’re using your iPhone, Android or Personal Computer you can view your all your Bank Account & Credit Card balances at a glance and add new transactions with a simple click.